Is Your Car Heater Not Working? There can be several reasons why your car’s heater could be broken or simply just not working. The following reasons may help you to understand why it is not working and why you need to take it directly to a mechanic to have it fixed. It could be as simple as the engine thermostat, the fan motor, or simply a fuse that is out or simply not working properly. You will need to take the vehicle to a car repair shop right away to have them diagnose the problem and get your heat flowing properly once again. If you decide to fix the problem yourself you may be doing more damage to the vehicle by not knowing the correct diagnosis. Car repair shops can easily diagnose the problem. So take the vehicle to a mechanic and save yourself the headache and money of making it worse off. Many people think that they may just be low on coolant in the radiator and try to fix it themselves. By doing so you can cause yourself and your car some serious damage. The cap could release and intense amount of steam that has been built up by pressure and burn you very badly. So the best remedy if your car heater is not working properly is to take it to a car repair shop and let a real mechanic fix it. We all know reliable brakes are a crucial part of safe driving, but how do you know when you should have a brake inspection? Your car’s braking system is complicated with many interactive parts that need to be in good working order to bring your car to a stop when you need it to. For the safety of your own passengers and for that of any who should cross your path, brakes that will stop thousands of pounds in gross vehicle weight are the most important safety precaution you should take. One of the most obvious signs that a vehicle’s brakes need inspected is when you hear that awful squealing, scraping or grinding sound when braking. If your car’s brake warning light stays on is also a sure sign that it’s time for a brake inspection as well. Somewhat less noticeable indications are when the brake pedal feels “soft” or spongy or even when it feels quite hard to depress. And finally, if your car pulls to one side or the other when braking, it may be a sign that your car needs a brake repair job. Aside from these clear indications that you already have a problem, having a brake inspection regularly is a smart part of good car maintenance and vehicle safety. Regular inspections help prevent braking failure as well as heavier damage that would require a more costly repair. 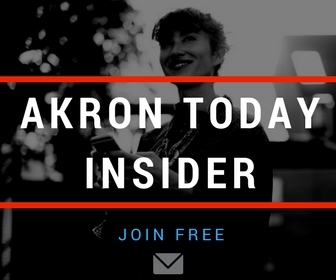 The average temperatures in Akron and throughout Northeast Ohio have been incredibly good this year. The lowest temperature has been around 53 degrees Fahrenheit this November, and on thanksgiving week, the temperatures are supposed to dip a bit, but nothing too bad for this part of the country. Taking that into consideration, we are having better weather than other years, and that means we have more time to take care of our cars’ “health” before winter truly arrives. Here is list of 5 things you should be checking out to ensure your car is running smoothly and won’t let you stranded. Battery – If starting your car seems to be getting sluggish, and your car’s battery is older than three years, it is a good time to get it checked and make sure it is still in working condition. If your engine light is on, sometimes the battery is the one responsible for it, and you need to replace it as soon as you can. Tires – We usually replace the tires in our car by the pair. During cold weather, and when there is snow on the ground, having good tires can be the difference between having an accident or not. Making sure your car has good tires, and that they have the right pressure, is very important for you and the life of your car. Lighting – By 5:15 p.m. we are experience the sunset in northeast Ohio, sunlight is no longer there when we leave work, and during this time of the year, it is very important the light bulbs in our cars are all in optimal condition. The visibility we have during the winter months is much less, and we need to be prepared for it. Washer Fluid – during a snow storm, it is very frightening to find yourself with no washer fluid in your car. Visibility is null, and a Walmart is nowhere in sight, what do you do? Make sure the fluids in your car are checked before winter arrives, and not only the washer fluid. By taking care of your car, you can prevent accidents, avoid unnecessary expenses like towing services, and maximize the life of your vehicle. Winter can be a difficult time for your car engine. Falling temperatures can make your belts contract and cause the moving parts in your engine to dry out more quickly. It is a good idea to visit a professional auto repair service in the early autumn to make sure that all of your car’s systems are ready for the winter. An engine inspection is even more important when you notice a noise in car. Engine noises can mean that your oil is dangerously low or that something is not properly aligned in the engine. An auto repair service can perform a comprehensive engine inspection to discover anything that might be causing the noise in car before it becomes an expensive problem to fix. Extremely low temperatures can cause your car’s battery to die if it is too old or weak. It is much more comfortable to have an auto technician check your car battery during a scheduled inspection than to find yourself stranded in a parking lot with a dead battery. An auto repair service will have the right tools to check your battery strength without even removing the battery from the car. The inspection is quick and inexpensive, but can save you quite a lot of trouble during a cold winter. If you do need a new battery, the shop can install one for you on the spot. When was the last time you kept track of your car care schedule? Do you remember when you took your car for a full inspection? Time is money as the old adage goes, and when it comes to the care of our car, time and money are too precious to waste. That’s why, taking care of your car and doing preventive maintenance or even regular scheduled oil changes can keep your car running well, prevent costly repairs and keeps your car dependable for many years. Before Winter arrives, here is a list to check to see if you have a car that is ready to see you through the Winter. There are many places in Columbus where you can have your car serviced. But, do you know which ones have a good rating? By checking the Better Business Bureau’s website (BBB), you can check to see if the place you are planning to take your car for a checkup has a good rating. Remember that not even the Better Business Bureau guarantees you will have a nice experience, but it is a good place to start. Asking your friends and family for their favorite place to take their own car is the best bet, and you can probably avoid some headaches. Now that you have taken your car to be serviced, and want to keep your car running smoothly for the foreseeable future, keeping a reminder of their service schedule can be a very practical thing to do. At carcare.org, you can build a service schedule for your car by entering your car’s make and model. Then, they send you a schedule service reminder to your email when the time is approaching to have your car serviced. Is it convenient? You bet. It is easy to do and an easy way for you to then call your favorite car care place and schedule an appointment without forgetting. As the time to start planning your summer vacation approaches, gas prices are going up. It happens every year in anticipation of the travel season. Even if money is not an issue for you, these tips will help you be good to the environment, and help you save for other things you want to do with that money. 3. Check your vehicle’s tires. Having a well maintained car will help you save on gas. The efficiency of your vehicle on the road depends on how well maintained you have kept your car all year round. 4. Follow the speed limit signs. Even when you have a long road ahead, driving at the speed limit posted can save you money on gas. Driving slower and at a consistent speed burns less fuel, and if traveling for a long trip, use your cruise control to keep a consistent and moderate speed. 5. Keep it light – Excessive baggage or a roof box cargo can make gas consumption a bit expensive. Keeping your windows and sunroof close will reduce the drag, making you car more aerodynamic. Many of the new homes have excellent windows, new roofs, new air conditioning units, etc. Everything is new and working properly. But, if you have an older home and are looking to save energy and money, what are some of the energy saving tips that will also save you money? Replacing your old air conditioning unit is not something we do frequently, they last a long time and they are expensive. But, if you have an old unit, the efficiency is not longer there. The electric bill is probably not a pretty sight every month, so replacing the unit is probably the only solution that can save you money in the long run. Replacing old Windows – The draft you feel as you get close to a window or door is heat leaving your home and making your gas or electric bill higher than it should be. Replacing old windows or doors can save you money in heating bills and add value to your home. Keeping the temperatures in your home at comfortable levels can save you money. Too cold in the summer months and too warm in the winter can add hundreds of dollars a year. Try a difference of a couple degrees and see if you feel a difference in your comfort level and notice the difference in your bill. Turning off the lights in your home and appliances or other electronic devices that nobody is using saves electricity and money. Remind your children that the water in the home is not heated by the sun. A short shower can save water and electricity and hundreds of dollars a year. By using some of these tips, you will not only save money but will help the environment as well.